Our timing was perfect – we managed to score ourselves a seat on the verandah overlooking Garema Place. The sun bore down on us in classic Canberra style – on a truly delightful autumn day the scene was set for a fine lunch. First things first – to settle in with a tipple – and we decided to indulge in a bottle of the Spinning Top Otago Pinot Gris ($36.00) – the slight fullness of flavour bridging the gap as we decided what food to eat. 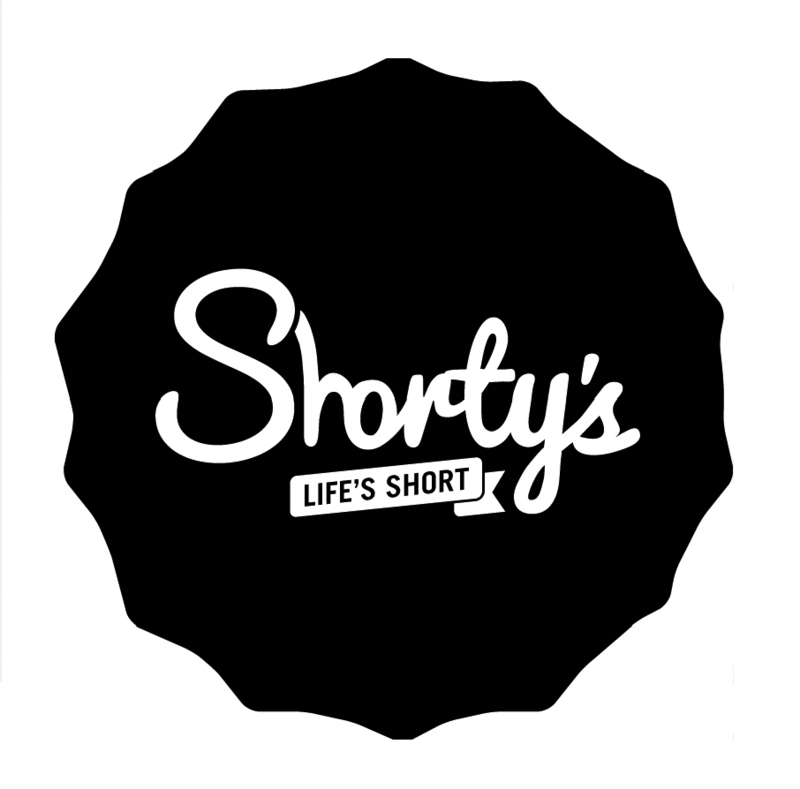 At Shorty’s, all orders are taken at the bar, while meals are delivered to your table (no buzzers – yay!). 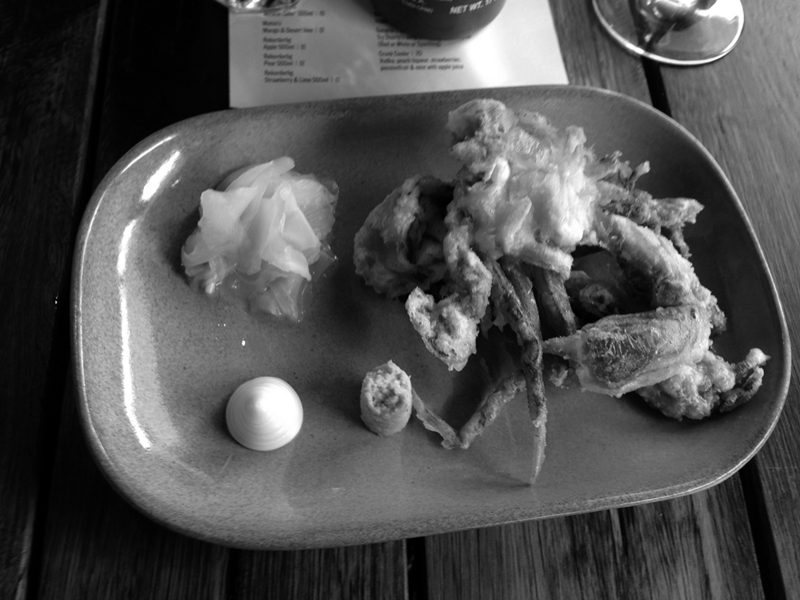 The Duck Wings ($13.00) along with the Soft Shelled Crab ($15.00) landed on the table to eager eyes. Firstly, to the duck, that glistened in the sun thanks to its sticky glaze. Chewing the meat off the bones revealed the glaze to be slightly sweet with a dash of cumin adding a counterpoint. The meat on the ribs was in itself rather earthy – the coriander garnish serving to lift all the flavours and provide a dance across the entire palate – very nicely done indeed. Sticky fingers meant commitment to the dish – finishing off all the pieces before reaching for a serviette in preparation for the next tasting. The soft-shelled crab is an entirely different experience. Served on a plate with kewpie mayonnaise, wasabi and some pickled ginger, the Asian influence only hinted at throughout the menu really comes in to full realisation. It’s a very playful – though simple – take on a familiar dish. Our entire party found great joy in its surprising simplicity. 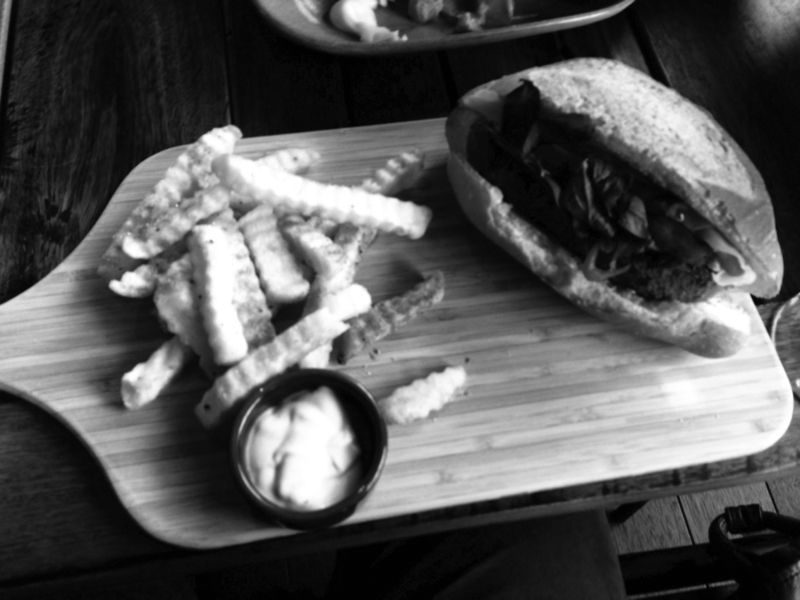 Our mains constituted of the Beef Burger, the Marinated Chicken Burger and the curious Pig’s Face Sanga (all $17.00). When inquiring at the bar as to what the latter may be, the answer was simply, “Oh, my God – you definitely want it.” Good enough for us, but perhaps may have perturbed the aforementioned deity who apparently deems soft-shelled crab may be the limit on Good Friday. As it turns out, the ‘Sanga’ is roughly as it sounds, consisting of a crumbed pig’s cheek in a bun. Carrot, cabbage, various leafy greens and sliced red chilli pack out the roll, provided a crunchy mouthful of gentle heat. The pigs cheek was almost hidden among the various sensations – however revealed itself as a moist and flavoursome morsel whenever a bite struck this porcine gold. The Beef burger and the Marinated Chicken Burger were both winners – respective diners complimenting the succulent meat. Interestingly, the rolls were not as readily endorsed, perhaps slightly too sweet. Again, this hints at a nod to South East Asian post-colonial baking – however may be a bridge to far for a European palate. Commenter ‘veritas’ noted in our previous story there may be a move to a less sugary roll. Still, a slight issue among a string of wins throughout our selection and certainly we all felt satisfied for the princely sum of around $25.00 per head for food. To finish, we decided to try one of the ‘packaged cocktails on offer. Tempted by the Ginger Mojito ($15.00), we placed an order at the bar, only to be provided with another number to take back to our table and wait. A few minutes later, the drink landed and the number was whisked away. We sat in silence with bemused smiles looking at what was in front of us. Certainly the drink was well branded, and though perhaps composed with a pre-mix of sorts, looked freshly made. The drink contained all the essential elements – ice, mint, liquor, but had a plastic seal across the top that had been applied moments prior to being delivered to our table. 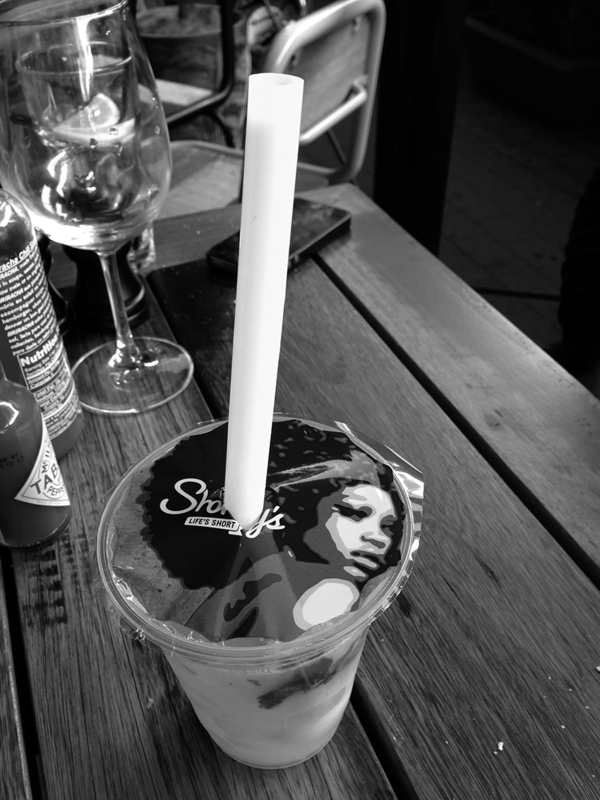 To us, it signalled yet another nod to Asian culture: the bubble tea. We jammed the oversized and pointy straw through the plastic and drank from the contents. After a lot of meat and carbs, the balance of ginger and mint freshened our palates. We can see a lot of fun being had sampling the menu over a few hours among a few friends. Shorty’s has planted itself on the correct side of Bunda Street. The exuberant fit-out combined with a cheeky and playful menu places it in good company with other venues along ‘Melbourne Lane’. Certainly, the prices have been kept in check, and the food options extend from light snacks to hearty meals. The offering of breakfast, lunch and dinner will push the kitchen to its limits, however Frank Condi has managed to balance these demands beautifully at Edgar’s in Ainslie – so all bodes well. What a relief to have another high quality venue with a sense of humour where posturing is not the priority. This looks like a winner to us, and we look forward to more getting back to Shorty’s soon. A friend and I were there mid-afternoon Thursday. The decor was funky and the staff nice but dear god it was noisy – if I can’t hear my friend talking from 30cm’s away, then the music needs to be turned down. I visited Shorty’s with my partner on Saturday night, I was looking forward to it from the reviews I’ve read but we ended up very disappointed. I ordered a glass of wine from the bar to start off and the bar tender had a lot of trouble taking the cork out, he passed the bottle to two other people to get it open, in the process they broke the cork and proceeded to pour me a glass. When I looked into the glass it had specks of cork so I asked for another one. As for the food we ordered the pork nuggets, corn on the cob, chicken parmigiana and the chicken and corn salad. The food came out lukewarm, the pork nuggets were full of fatty meat that didn’t have any flavour and tasted old, the chicken parma had a side of crinkle cut chips that were soggie and tasted like they had been microwaved and as for the chicken it was bland bland bland. The salad was nice but it should have been named corn salad with a couple of slices of chicken – it had way too much corn. The only good thing was the corn on the cob, very tasty and I wish I could have replaced the other items with more of them! I won’t be going back for the food, maybe a drink, but I’d have to be pretty desperate.